Energy prices to customers in the UK are determined by the market structure, and not resource costs. More supply companies are needed and greater competition is required. This would keep customer energy prices as low as possible. The ‘big six’ UK energy supply companies are nPower, EDF, E.ON, British Gas, Scottish Power, and Scottish and Southern. They satisfy 99% of the demand, leaving the remainder to twelve smaller providers with less than 100,000 customers each. Recent increases to consumer energy prices of nearly 20% by most of the ‘big six’ are blamed on rises in wholesale costs. The UK energy regulator, Ofgem, is dubious of this claim. In the electricity supply sector, there are huge variations in the wholesale prices paid by the suppliers. For example, in the last accounting period, Scottish Power paid £68.3/MWh (€77.7) whilst Centrica paid only £53.7/MWh (€61.1). To keep UK customer energy prices in check, the government may completely reconstruct the energy infrastructure in this week’s parliamentary white paper on the subject. The government has three parallel tasks of cutting carbon dioxide emissions and controlling energy prices, whilst simultaneously replacing lost generating capacity. Ofgem estimate that a capital expenditure of £200bn would be needed by 2020. The quickest way for the UK to control energy prices and cut carbon dioxide emissions would be to shut down all the coal-fired power plants. These could then be replaced by highly efficient (almost 60%) combined cycle gas-fired power plants manufactured by one of the top six manufacturers, like Ansaldo, Fuji, GE, Mitsubishi, Siemens, or Toshiba. They only take two years to build the whole plant, yield low energy prices, and could be complimented with offshore wind farms, for the 30% of the UK days when the wind blows strong enough for them to operate at full capacity. 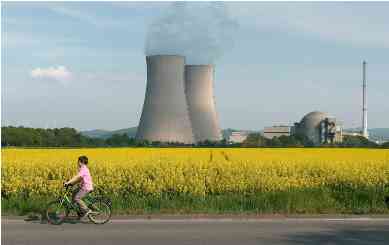 Nuclear power plants would take eight years to build and are unpopular nowadays. Energy prices for electricity from photovoltaic cells have been artificially reduced for UK householders and entrepreneurial roof renters. However, the meagre returns of only £70 (€80) per year for outlays of £14000 (€15928) dissuade most people from joining the fad of putting a few panels on the roof. Additionally, some roofs would need to be strengthened to take the additional mass of the panels and maintenance can cost several hundred pounds. To keep energy prices low and optimum efficiency, the panels need to be regularly cleaned to remove debris, dust, bird excrement, leaves, lichen, moss, and soot. As of December 2010, average energy prices for consumers in the UK for electricity were £144.9/MWh (€164.9), including taxes. The average for the EU was £170.8/MWh (€194.3). However, the higher prices elsewhere in the EU are mainly due to higher taxes. Of the original 15 EU member states, France has the lowest electricity energy prices. Italy, Germany and Switzerland will not build any new nuclear power plants. Germany is closing all existing nuclear plants by 2022. I believe that a European-wide energy policy is urgently needed. Energy prices and energy supplies should be controlled by the state, as they originally were, for very good reasons.